On Palm Sunday, the Church commemorates Jesus’ entry into Jerusalem. It is also the beginning of Holy Week. 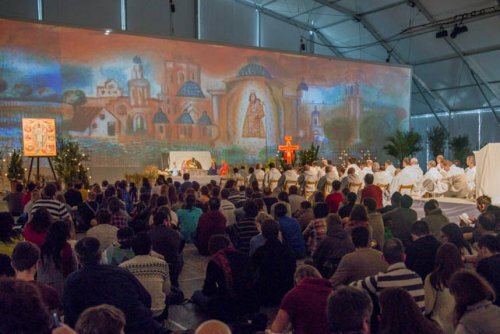 In Taizé, as has been the case for a few years, this celebration began at the edge of the lake of the Saint-Etienne spring, where the brothers, the volunteers, the young people present in Taizé and friends from the region gathered, this year with the presence of the Bishop of Autun, Benoît Rivière. For me this Palm Sunday procession was just this great feeling of being a part of the whole creation, and it made me very happy and very joyful. You really wanted to celebrate that Jesus was there with us. I had never experienced Palm Sunday in such a way. During the common prayers, Holy Week is marked by specific songs and responses and, morning and evening, two brothers take turns reading at the lectern in different languages an excerpt from the gospel accounts of the Passion. During the Monday evening prayer, two specific intentions were read: one for the victims of the tragic fire at a shopping center in Kemerovo, Siberia; the other for the victims of the terrorist attack in Carcassonne and Trèbes, a few days earlier in the South of France. Every night, other intentions were read for difficult situations in the world. It’s much different than what I expected. It’s a really tightly knit community. I love going to the prayer services, at first I was not too keen about it, but it’s really grown on me, and it’s really interesting and engaging. The evening prayer was marked by the washing of the feet. As is now the tradition for many years, the brothers went through the church to wash the feet of all who wished. Then the Eucharist was celebrated as a memorial of the last supper of the Lord. It is the first day of the Easter Triduum. Being a Coptic Orthodox deacon, where prayers in the Holy Week are very rich and special, I found also the same core here, the humility, the love which is coming from God and also directed towards God. 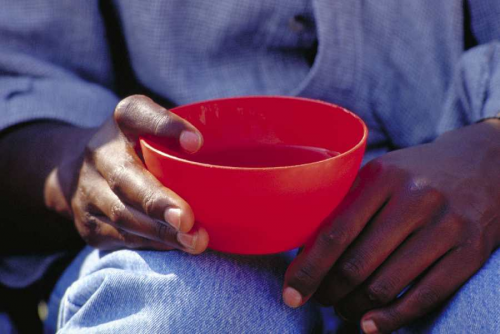 Holy Thursday is the day where Jesus, Emmanuel, God who is incarnated in the midst of us gives his body and blood for us ... for all of us to be one in Him and with Him. Not all the disciples at this table were the same, just like us here in the Church of Reconciliation we are really diverse. Different countries, different beliefs, different cultures, different traditions, but we are all united in the humility and love of God the Father in Jesus Christ through the Holy Spirit, this communion can never be broken. At 3 pm, the hill entered for a few minutes into silence, while one of the bells rang to remind people of the moment of Jesus’ death on the cross (after Luke 23:44-45). At this time, everyone stopped what they were doing for a short time of silence. In the evening, the procession of the cross took place in the Church of Reconciliation. At the beginning of the prayer, all the brothers were gathered behind the altar and then the cross was carried across the church to associate the thousands of young people present at that moment. Then the prayer continued around the cross throughout the night. 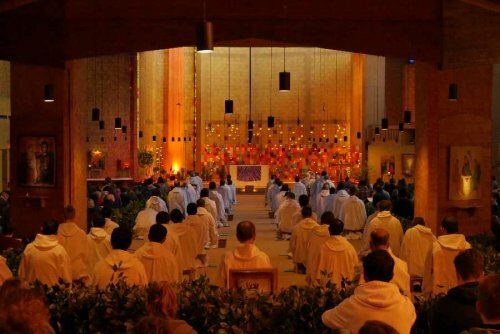 The last arrivals before Easter arrived in Taizé in the afternoon. In the evening, the icon of "the descent of Jesus into Sheol" was carried by the brothers to the end of the Church of Reconciliation and its extensions, now fully open because of the large numbers present. In the evening, Brother Alois spoke for his weekly meditation - before a prayer vigil began in the church, interrupted by the reading of prophetic texts from the First Testament. This year, the Easter celebration began at 6:30 am in the large, fully open church still in darkness. While a young girl was playing a cello piece, and female voices of the choir sang a resurrection song in Syriac and various languages, four sisters crossed the church carrying a lantern that contained the fire - the light of the resurrection - and a white cloth, a symbol of the shroud in which Jesus had been buried. From this lantern, the paschal candle was then lit and then - for the first time - the sisters and women of the village of Taizé transmitted the Easter flame to all. It was a way of emphasizing that it was the women, Mary Magdalene and some others, who first believed in the resurrection of Jesus. During the Easter celebration, the resurrection was proclaimed by the liturgical prayer of the Exultet, read by several brothers in six languages. A French brother made his life-commitment in the community, in the presence of his family, and the Eucharist was celebrated with joy. The last highlight of the celebration was the proclamation, again by women, of the Easter greeting, traditional in the Orthodox Church, in twenty languages: "Christ is risen! with each person answering in their own language, "He is risen indeed!" While the bells were ringing. I felt a lot of joy during these days. I appreciate the rhythm; the structure of the prayers allow me to focus on the story of Easter: in the beginning you feel down, then it gradually ascents towards Easter. I felt so much joy among the people after the service, celebrating this festival of happiness together. The days here helped me to discover hope for people all over Europe, to have this celebration together and to believe that this light of Easter will be transferred all over the world. Taizé has been welcoming refugees from Sudan for the past two years, and the Prior of the community, brother Alois, has just spent a week in Juba and Rumbek, South Sudan, and a week in Khartoum, the capital of Sudan, to better understand the situation of these two countries, to meet people active on the ground and to pray among people who are some of the most afflicted of our time. 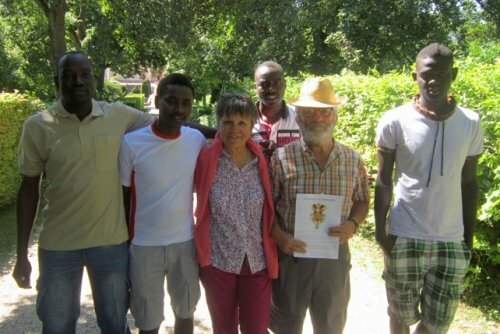 He and another brother of the community visited the various churches, observed their work of teaching, of solidarity, of caring for the sick and the excluded, and they had many contacts with the deeply deprived population. Among other things, they visited a camp for displaced persons operating under the protection of the UN, including many children lost and never recovered by their parents in the course of violent events in the country. 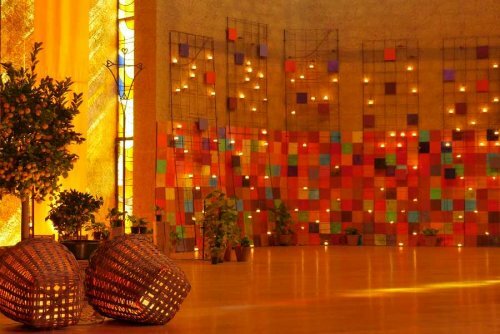 The prior of Taizé will draw from this visit to Africa some concrete proposals that he will publish at the 40th European youth meeting hosted by Taizé in Basel from 28 December to 1 January next. 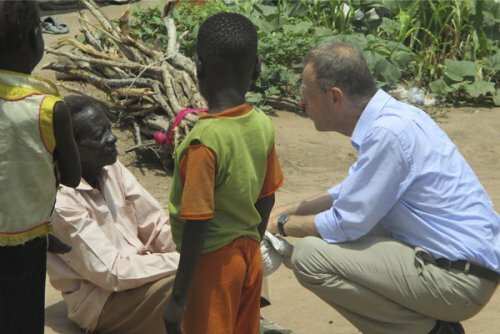 Brother Alois visits a village of lepers near Rumbek, South Sudan. In addition, the preparations for the week looking at the theme of migrations are progressing. 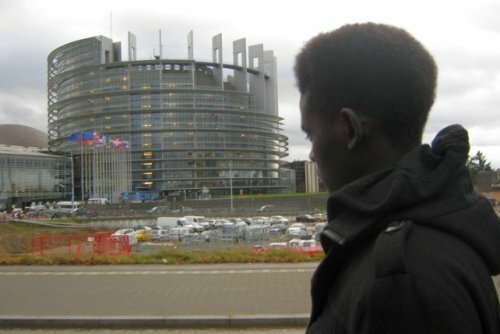 Many speakers have confirmed their presence, such as Pascal Brice (France), the director of OFPRA, Catherine Wihtol de Wenden (France), director of research emeritus at the CNRS, the Archbishop of York, John Sentamu (Uganda / England), Father Michael Czerny (Canada / Italy) from the Section for migrants and refugees in the Vatican, Petra Feil (Germany / Switzerland) of the Lutheran World Federation and representatives of various movements involved in providing support for migrants, such as the Jesuit Refugee Service or Caritas Europe. 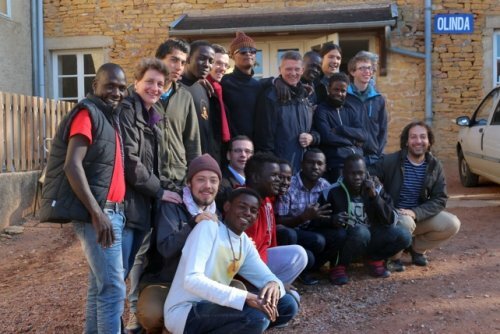 It would be important for young people who know Taizé to suggest to some refugees to come and live this week together with them. 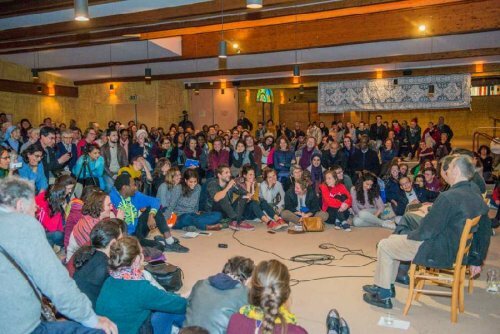 If you are interested in this meeting, or if you have a suggestion for a speaker, you can contact the team at solidarity taize.fr. 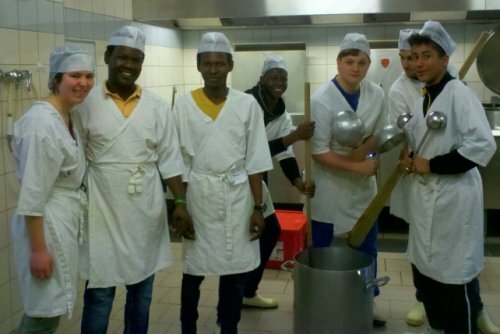 Finally, a concrete initiative of solidarity will be proposed in early July for young participants who wish. On the occasion of the World Refugee Day, an ecumenical statement has been published - here are two excerpts.